“Initial indications that retroviruses are connected to neoplastic transformation were seen more than a century ago. 43% of the human genome is made up of such elements and 8% of the genome is comprised of retroviruses that infected human ancestors, entering cells of the germ line or proliferating thereafter by retrotransposition. 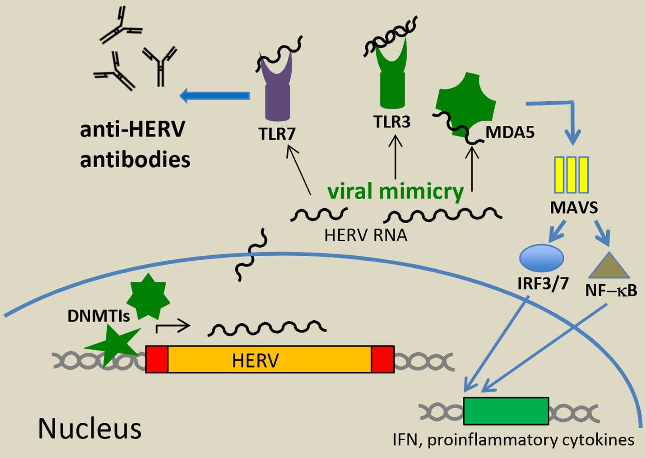 Endogenized retroviruses (ERVs) are abundantly expressed in many transformed cells. In healthy cells, ERV expression is commonly prevented by DNA methylation and other epigenetic control mechanisms. There are opportunities for any researcher whose field can be related to epigenetics to update the way studies are done. Why should researchers settle for mediocrity when they can make a difference? ← What will it take for childhood trauma research to change paradigms?